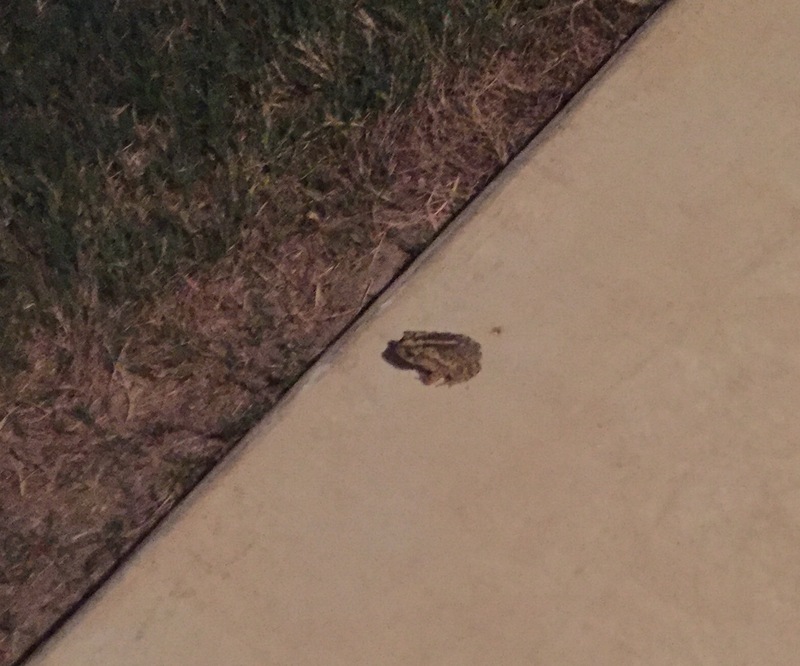 My patio seems to have become home to two frogs. I don’t recall when I first saw them, although I think it was around the time when I started seeds in peat pellets in a tray on the patio back in early July. It was quite humid by the tray and I remember moving it one evening, only to see a frog jump out from behind or under it. The peat pellets are long since gone, but the frogs have remained. I only see them at night when I take darn dog Chloe outside. It seems they’ve gotten rather used to us, many times just hopping a step or two out of the traffic path, but staying visible to Chloe and me. They don’t seem to phase Chloe either, who sometimes sniffs them but mostly just ignores them. Between the crickets and the frogs, it’s almost like we’re out in the country and not flanked by houses and concrete. I hope they stick around for awhile longer. This entry was posted in Gardening, Living and tagged frogs on October 12, 2015 by Julie Riebe. Gulf Coast Toad. They are a very adaptable species, unlike the Houston Toad which is nearly extinct due to loss of habitat (coupled with an inability to adapt to human encroachment). With all the concrete, removal of habitat, and 24/7 lighting and noise, earth is quickly losing its animal diversity. 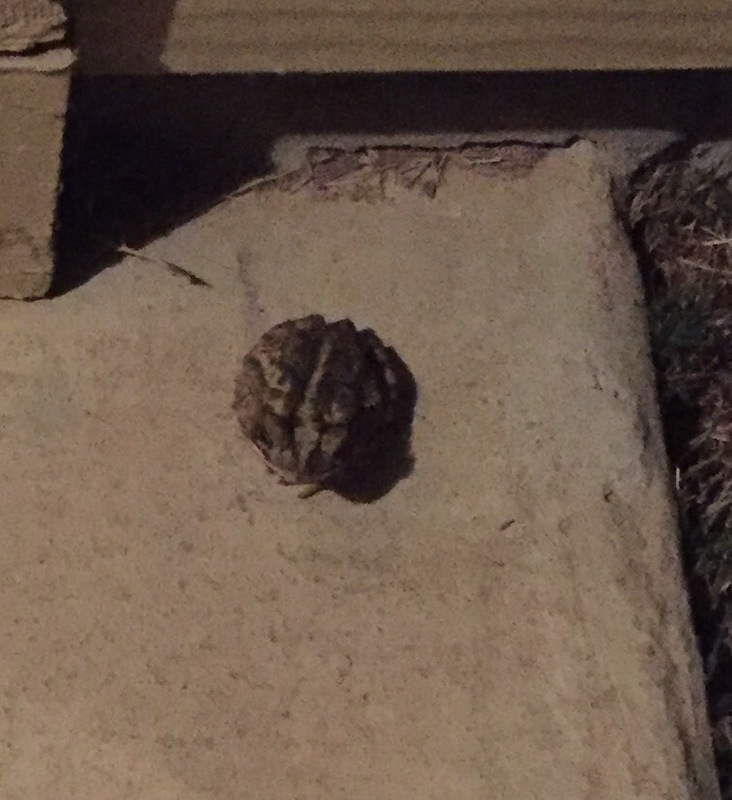 After looking at photos of common frogs in Texas, I thought it was probably a Gulf Coast Toad!